multi-functional aeration and fountain unit for bodies of water up to ½ an acre in size is capable of moving up to 500 gpm. 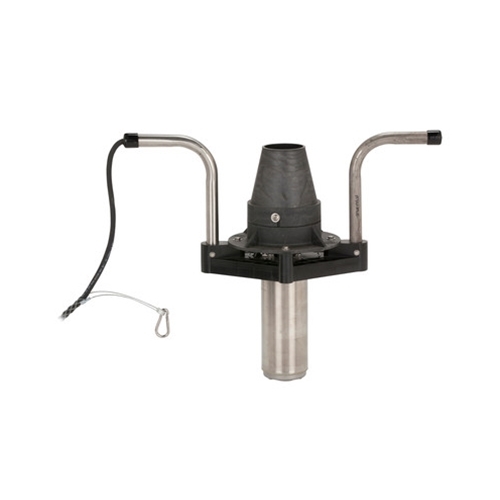 With the easy installation of a fountain nozzle, the aerator is transformed into an attractive fountain display. Whether your primary goal is aesthetics or biological pond health, Little Giant offers this easy-to-use, reliable, all-in-one solution to keep your body of water clean and healthy. Oxygen transfer capabilities without nozzle = 2 lbs./hr. Oxygen transfer capabilities with nozzle = 1.5 lbs./hr.